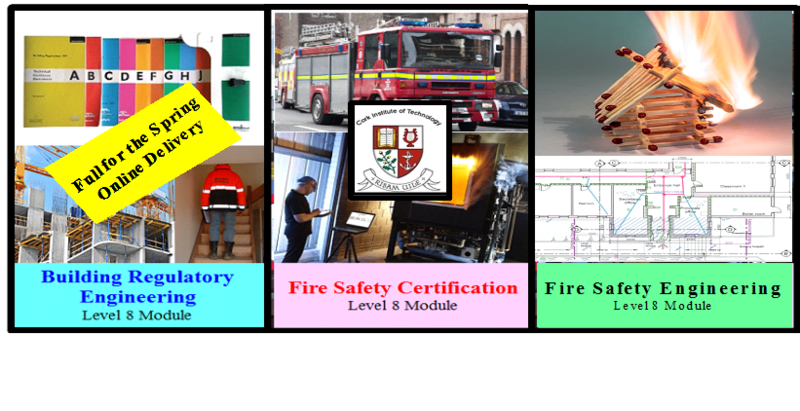 CIT are running their Level 8 Single Modules in Fire Engineering this Spring at CIT, both Online and on Campus over 4 weekends (Fri night & Sat Morning). Both of these modules cover both prescriptive fire safety design and also elements of fire safety engineering from first principles. Covering areas such as evacuation design, fire load evaluation, fire service intervention, flame height calculations to name just a few areas. Fire Safety Certification and Fire Safety Engineering are 2 sister modules, which together provide a good insight into fire safety design. 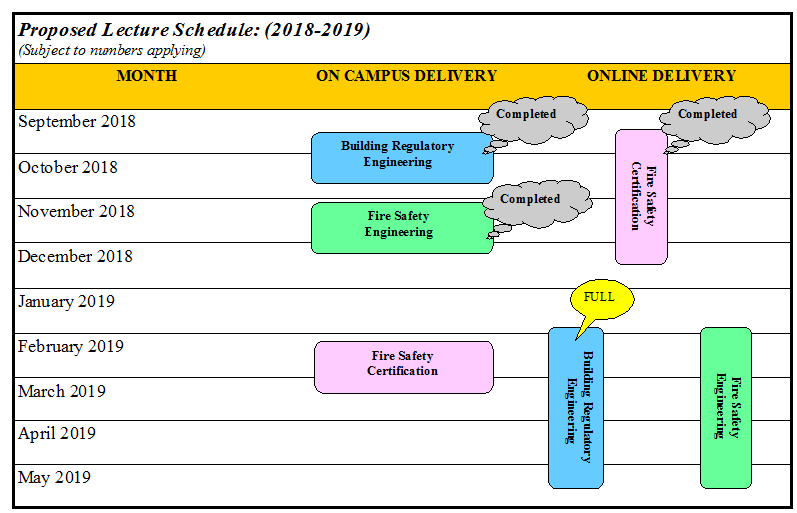 Further information on Fire Safety Certification (On Campus at CIT) is available here. Further information on Fire Safety Engineering (Online) is available here. The proposed schedule is here. CIT hope to combine their current 3 modules with further modules to form a Special Purpose Award in Fire Engineering Practice.